Tania elected to begin the home visitation program during a time of great change and challenges for her family. Tania’s husband and the father of her two sons, Evan who is three and Corbin who is seven, left the family over the previous two years, and his departure, as well as his physically and verbally abusive past, left deep impacts on the family. Evan suffered from baby depression, Tania explained, “I felt helpless, I couldn’t help my child through this depression. At one time he was talking and good on potty training, and then out of nowhere he had accidents, I had to put him back on diapers.” Corbin’s responses to the changes were anger, outbursts and high anxiety. Both boys had night terrors. 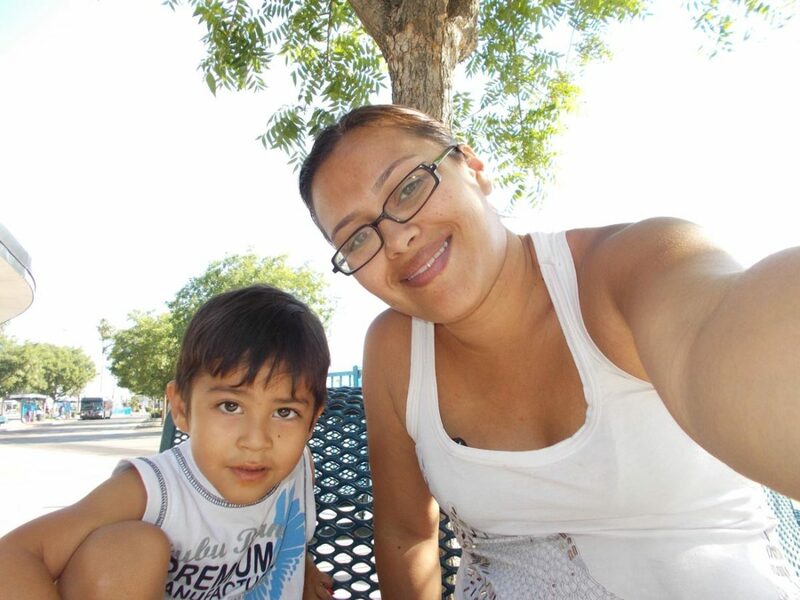 Tania also struggled with her own depression, and describes feeling like her family was “stuck.” In her search for resources to help with Evan’s depression, Tania was given a referral to Exceptional Parents Unlimited, Inc. (EPU). After this referral, Tania proactively reached out to ask for additional parenting programs and enrolled in the Learning About Parenting program. The home visitation program provides weekly lessons that follow the Nurturing Parenting curriculum. This curriculum helped Tania to develop her own disciplinary “path,” as she describes it – one free of physical or verbal abuse. With the program’s guidance, Tania has, for the last year, been successfully implementing a disciplinary approach very different from the culture of discipline that she grew up with. Tania has a weekly counseling session with her psychologist, and Yvonne will also provide homework focused on cultivating self-esteem. “This was the hardest homework for me – look in the mirror and say one positive thing about yourself. For me, that was a challenge.” This self-care and confidence has already impacted Tania’s life. During her marriage, her husband had isolated her from others, but now she is reconnecting with friends and family. She said with a smile, “It feels good when people tell me I seem happier.” The personal development Tania gained through the program also helped her to break the cycle of domestic violence and stand up for herself to her husband in her home and in court during their divorce proceedings. Tania has returned to school, and will be continuing her progress towards her college degree in the fall. Tania described her family’s progress as a “team effort,” and in just the past six months, the changes have been significant. Evan is working through his depression, and his growth and development are back on track. Corbin has also made great strides. His outbursts and tantrums are less frequent, and his anxiety has lessened. Tania is continuing to set goals for herself and her family. For Corbin, she explained, “it’s about showing him the big picture of everything. Yes, we had dad leave, but you know, he can still have his dreams; he can still have his goals. He used to have bad grades and detention all the time. Now in 1st grade he is doing better.” With Evan, Tania is focused on continuing to teach him the importance of reading. “Every time Yvonne comes, she reads Evan a story. When she reads to him, she asks him questions and he interacts. I am now able to do that same thing with him.” And finally, her most important goal is to spend quality time together.